A SURVIVAL BREATH OR A THRIVING BREATH? One time I asked Mark Rashid why it is that he rarely talks to riders about their riding position. His reply really got me thinking; he said that 70% of the issues of position and alignment are fixed by getting the person to breathe properly. And there is even more to breathing as well… When people (and animals) get frightened they breathe more quickly and more shallowly than when they are relaxed. Horses can detect this a mile off, I’d argue that they know exactly when we are frightened by changes in our breathing patterns (and from other physiological changes that take place when we’re anxious). They are programmed to be sensitive to things like that as they are prey animals. But to add another challenge, people don’t just breathe poorly when concerned about something, it gets to be a habit and a huge percentage of us don’t breathe very well at any time, even when we are relaxed. You could think of this shallow breath as a “survival breath”. It gets enough air into the body so that we don’t keel over but not enough to thrive in what we’re doing. Its hard to ever really be relaxed when survival breathing is the norm. We get into bad habits when we are children and learn, develop and practice poor breathing patters as the result of copying parents or peers or as a response to stress or physical discomfort. I asked my chiropractor, a specialist in working with babies and children, when children stop breathing deeply and switch to a survival breath. He said it started at the age of 2. So some of us have been practicing for a while! The muscle groups that we need to use to breathe can be split into two; first of all the primary muscles of which the most important is the diaphragm and then the secondary muscles, which are located in the upper chest and neck, which are designed to be called into service in times of stress. They are strong and adaptive but only designed to be used for the short term. The problem is that due to our lifestyle, and factors discussed above, we tend to get into a habit of overusing the secondary respiration muscles (chest and shoulders) and under using the primary respiration muscles (diaphragm). The balance between these muscle groups should be such that 80% of the work is done by the primary muscles and 20% by the secondary muscles. In my experience, the majority of riders are completely reversing this pattern and 80% of the work to breathe is being left to the secondary muscles which are not designed to do this job long term. If you want to see if you fall into the survival breathing majority then bring your awareness to your shoulders as you breathe in. If your shoulders move upwards as you take an in breath this is a strong sign that you are overusing your secondary, upper chest muscles for breathing. Instead your shoulders should move slightly outwards, widening the shoulders as you breathe in. Another check is to put one hand on your stomach and the other on your upper chest. Which moves the most? If you upper hand on your chest is moving the most there is every chance that you are practicing survival breathing. The stomach should be the place that moves the most, out on an in breath and back in again on an out breath. Confirmed survival breathers may find that there is very little movement of the stomach during breathing. Read on to find some exercises to change this pattern for the better! Its worth getting familiar with the location and size of the parachute shaped muscle that forms the diaphragm. This should be the star of the show when it comes to breathing. Its really useful to be able to visualize the diaphragm so that you can have a go at the exercises below. Note that the diaphragm is not symmetrical, its higher on the right to make room for the liver. Its attached to each of the lower 6 ribs and to the lumbar spine. The lower part at the back runs close to the psoas muscle which is one of the most important muscles for riders. The psoas is the only muscle that attaches to both the spine and the leg, its main function is to flex the hip joint. Poor breathing adversely affects the way the psoas works which comes right back to Mark’s words about breathing and alignment at the very start of this blog. Correct breathing also rocks the pelvis slightly with each breath, rotating forward on an inhalation and backwards on an exhalation. The exhalation straightens the lumbar curve and effectively puts you in a more “collected” position. I think this is one of the reasons that an out breath serves very nicely as a half halt and helps with all transitions. Good breathing also creates some motion at the sacroiliac joint (where the pelvis meets the lumbar spine), another critically important joint for riders. A good breathing habit and full movement of the diaphragm is really important for our overall health. The downward movement of the diaphragm gives the organs a massage with each breath and the diaphragm is attached to the heart by ligaments so correct breathing is also good for heart function. 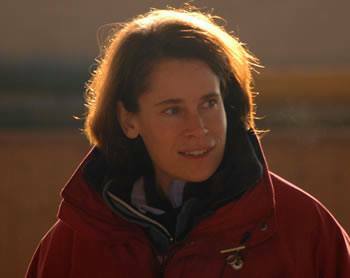 Scientists have even proven that cancer is anaerobic and does not survive in high concentrations of oxygen (see www.breathing.com). Fear, anxiety, anger, frustration and other negative emotions tend to cause shallow breathing. This is part of the natural physiological response. If we can learn to recognize when we are feeling these sort of negative emotions, and we know how to breathe deeply, then we can consciously calm ourselves down and, at the very least, stay in control of a situation. 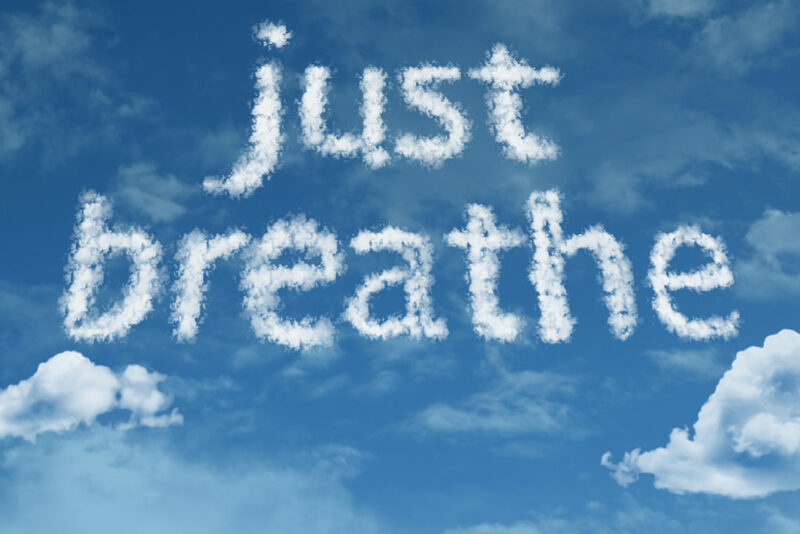 While breathing is an unconscious process (we don’t need to think at all about breathing most of the time) it is one that we can consciously override for the better if we choose to. A horse is very aware when we are not breathing well. Survival breathing gives him the message that all is not well and we are preparing for some kind of emergency. As we tighten the secondary respiration muscles to drag air into the body the horse will tighten corresponding muscles and it affects the way horse moves as well as his mental state. Often times this negative cycle can be reversed simply by the rider remembering to breathe properly. If you get at all dizzy during any of these exercises then stop right away. You are getting more oxygen into your body than its used to and you are perhaps doing too much to start with. 1a) The general principle of breathing practice is that we focus on the out breath and the in breath will take care of itself. For example practice breathing out through a straw. Just take a normal breath to start with, no need to take an extra-deep breath before you exhale. Push the air through the straw until you naturally reach the end of that breath. Make sure you hold the straw in a relaxed way. Practice for about 5 minutes and note the difference in your breathing when you have finished. After a bit of practice with the straw try the same exercise without it, just imagining that you have a straw (from The Breathing Book by Donna Farhi). 1b) As an alternative you can imagine that your out breath creates a thin golden thread that winds and spirals away from you as you breathe out. 2) Lie on your back on the floor and put a book on top of your tummy. When the diaphragm is working properly the book will raise up with your in breath and down again as you breathe out. Check that you are not using your stomach muscles to deliberately move the book, it will move naturally as you breath deeply. 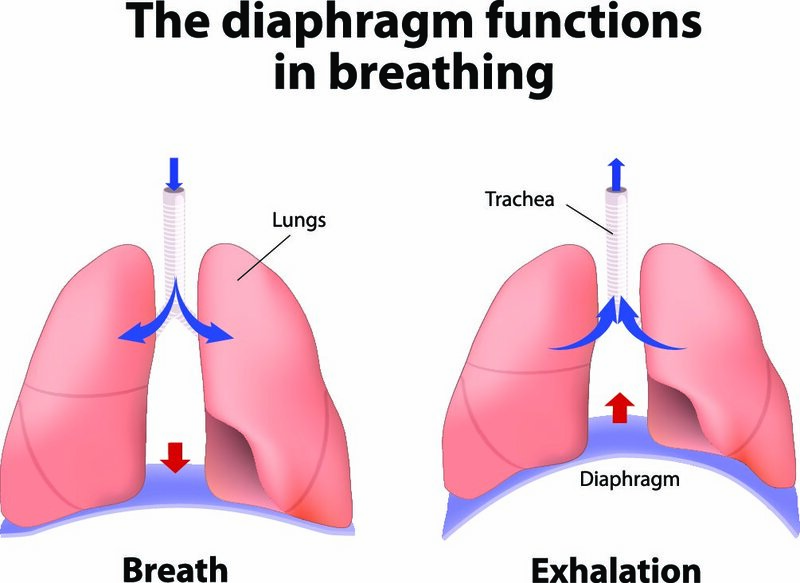 3a) Imagine the diaphragm moving up on an inhalation and down on an exhalation. The motion is going to be in line with your central axis. 3b) Imagine that the diaphragm as a lift (elevator) moving up and down in its shaft (your ribs). As you inhale the lift goes down and as you exhale it moves up. You will find many, many more exercises in The Breathing Book by Donna Farhi which is a must for every breathing enthusiast! If during any of these exercises you find that either the in breath or out breath feels a bit uncomfortable or “stuck” don’t panic! Sometimes people find that they can release the out breath but the in breath still feels like it is restricted in some way. I think this is because the trachea in the upper chest, which leads air to the lungs, gets distorted by muscular tension. That makes the in breath uncomfortable and often people describe some kind of stuck feeling or blockage in the upper chest. This is the type of thing that can be resolved relatively easily in lessons and clinics using visualization and NLP techniques.